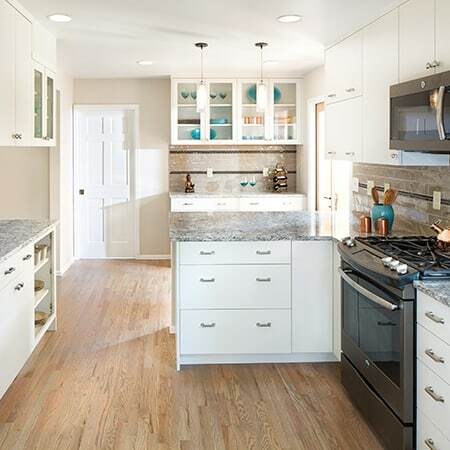 These homeowners sought a light and bright kitchen—a stark contrast to the dark, small feel of the original design. 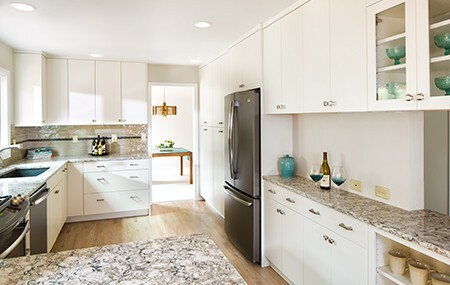 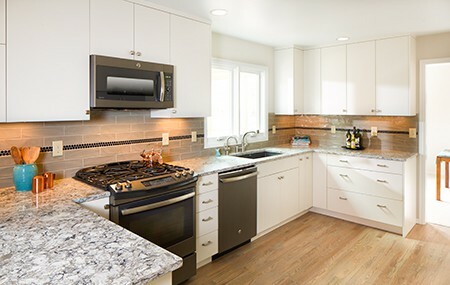 Without changing the footprint of the kitchen, eliminating a drop ceiling and adding bright white cabinetry makes the room feel much larger. 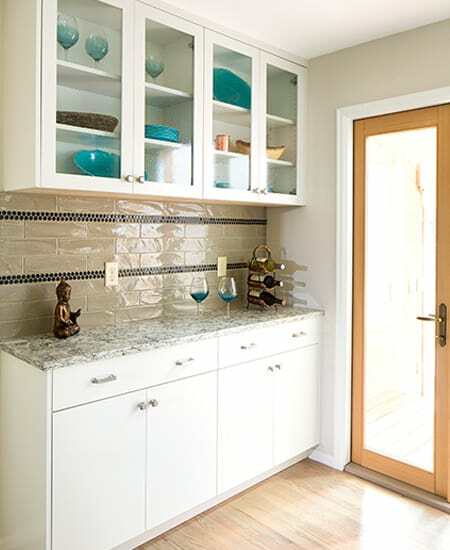 Cabinetry that reaches the ceiling offers additional storage while also making the room feel more spacious.